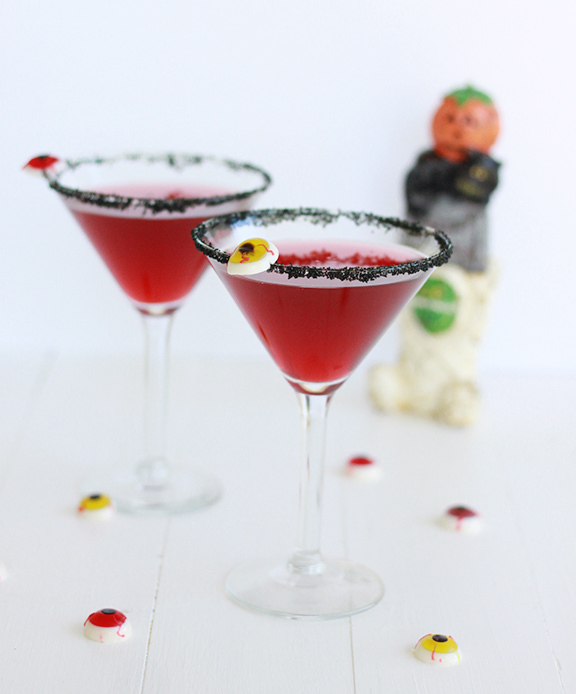 This is a simple cocktail, but you can spice it up by using spooky Halloween gummy candy as a garnish. I choose gummy eyeballs, but if you can’t find them at your grocery store gummy worms would work as well! Evenly distribute black sugar sprinkles onto a plate. 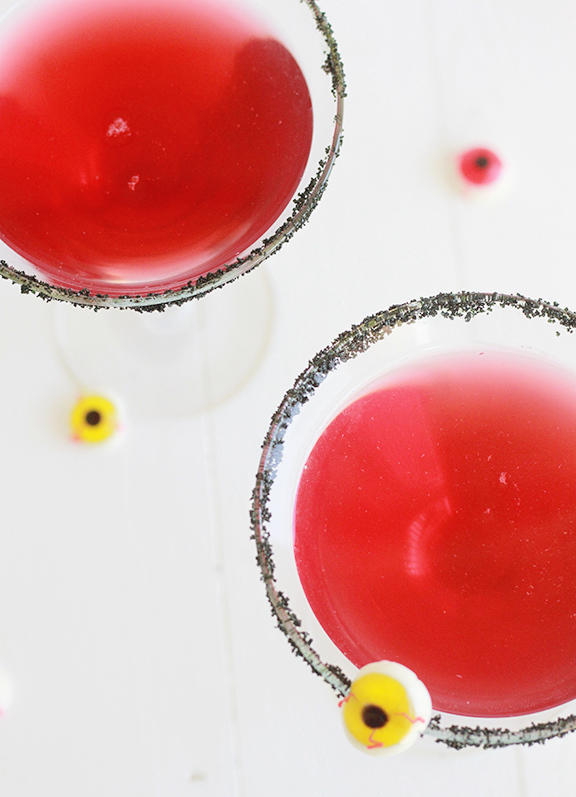 Using a damp paper towel, wet the rim of the glass and place on to the plate to coat the rim in sprinkles. 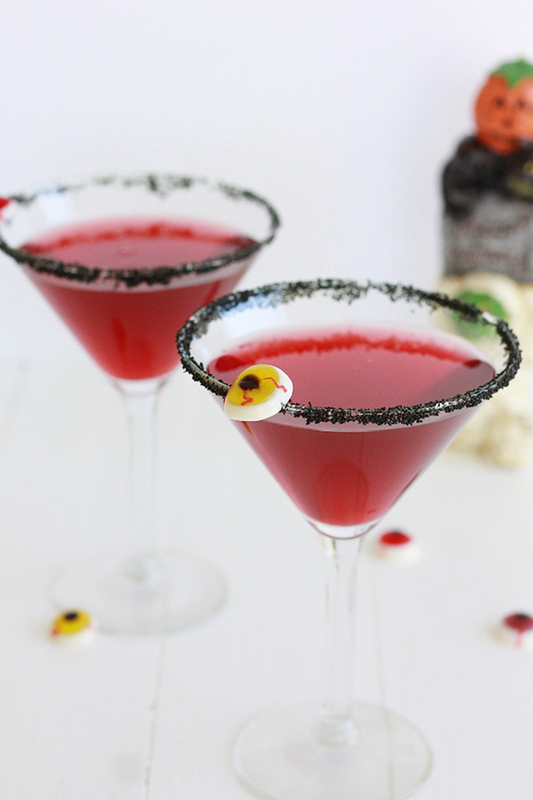 Garnish with gummy eyeballs and enjoy!